Love the Coast? Then you'll enjoy this gift set of 10 oz. jars featuring our Sea Salt & Black Pepper Peanuts, our Barrier Island Gourmet Peanuts (our famous Blister Fried Peanuts in a label honoring the lighthouses of North Carolina's Outer Banks), and our Batchelor Bay Seasoned Peanuts. We didn't eat this order but sent it as a Christmas gift...Because we were sure it would be shipped on time and would be fresh...just like every time we order. Easy online order; delivery on time; great quality in products. Two summers ago we spent our anniversary visiting the Outer Banks. Feel in love with these peanuts and have been buying them for our own addiction and also give them as thank you gifts. Disclaimer should be: These may become addictive! 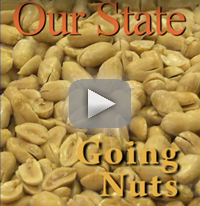 The Carolina Coast collection is a perfect mix of peanuts! Thank you for a wonderful product, prompt shipping and great pricing. These flavors are the best! They take us to another era where everything is just nuts. And we love them. We sent as gifts this year. Delivery was fast and comments were about how wonderful the peanuts and gift were. 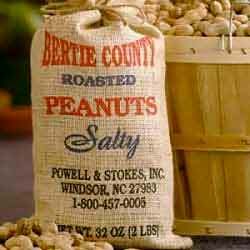 Bertie County Peanuts are the best! These are very good. You will not be disappointed. Love everything. Would have liked to be able to order chocolate varieties & have them ship when you do those products. All make super gifts.